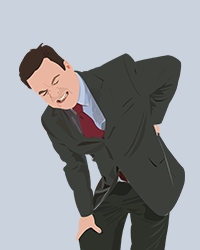 You may be able to avoid back pain by improving your physical health and through proper body posture and movement. We are dedicated to educating our patients on safety tips and lifetime health choices. It is important to talk to a doctor before implementing any of your own solutions, especially when it comes to purchasing many of the products that promise to prevent or alleviate your back discomfort.